The spectrum of fashion fanatics will range from those who make choosing their outfits an important, daily ritual to those extremists who make Zoolander look like your 14-year-old niece. For those on the far right side of the spectrum, fashion is a religion and utilizes the same infrastructural systems, including a heavy reliance on symbols, exclusivity, and sacraments. 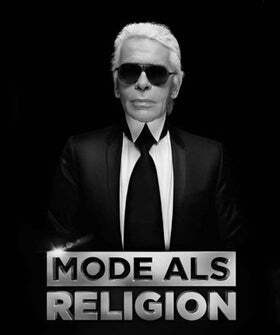 If fashion exists as a de facto religion? Karl Lagerfeld, then, is probably the supreme leader, and a new four-hour German documentary on Vox will set out to explore this parallelism.